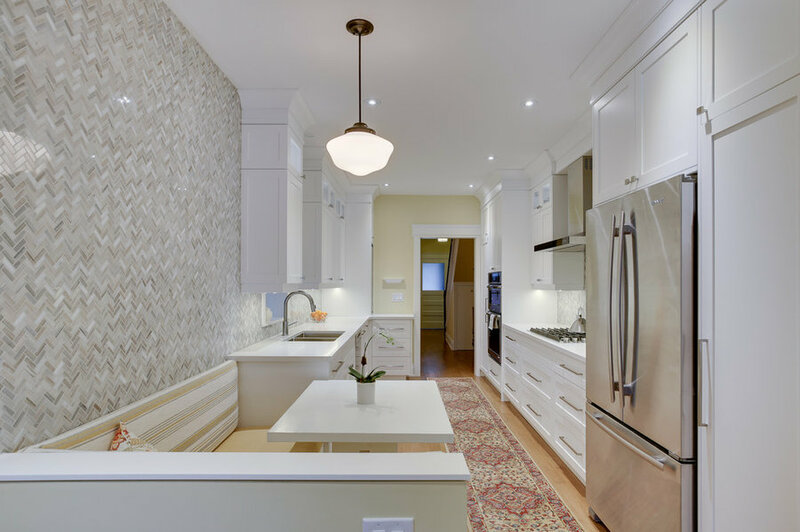 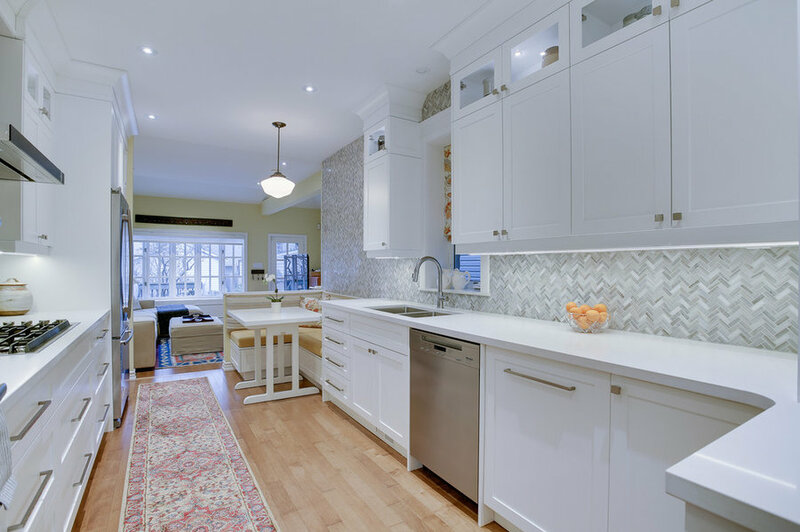 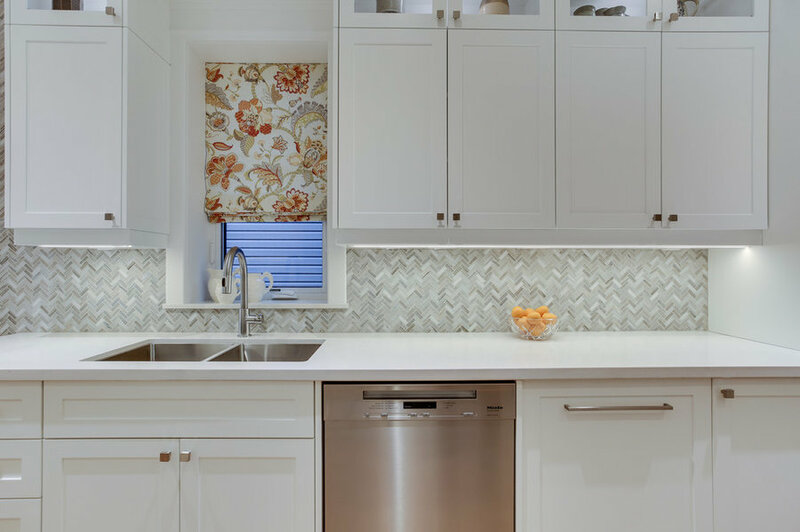 This lovely Riverdale Kitchen just had a complete makeover. 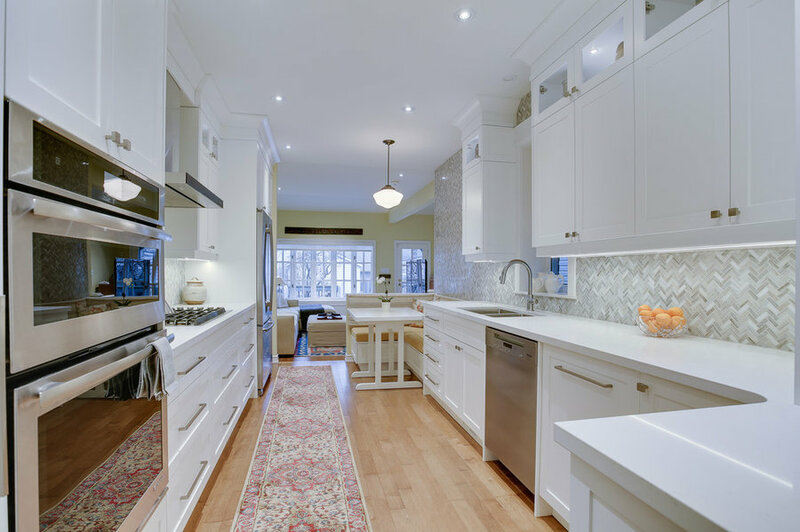 We were able to meet the clients' list of must-haves and nice-to-haves, such as banquette seating, quartz countertop, small broom closet, a pantry cabinet, appliance garage with a pull-out for their stand mixer, a baking storage section and ample lighting, and as you can see there is plenty of light...everywhere! 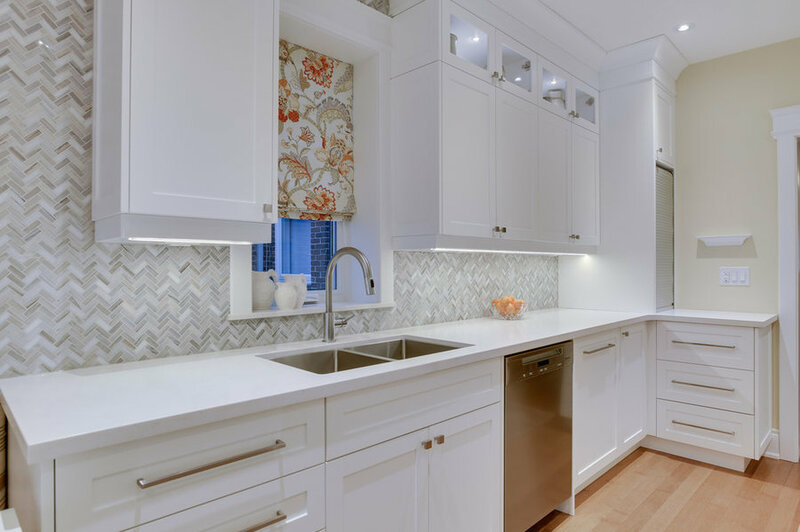 Credit to Kurt Schmidt of Spaces Construction and your team. 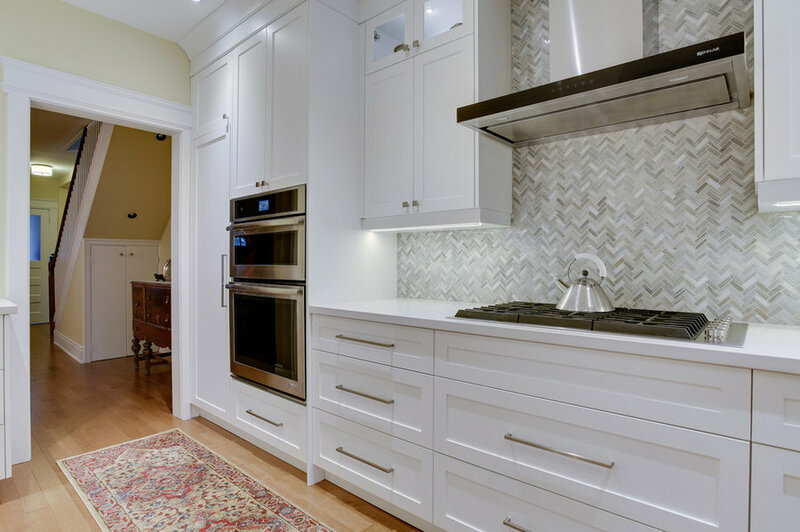 You did a beautiful job, your tilers did an awesome job, as did Mike Giannantonio of Tree House Fine Cabinetry- they look fantastic! 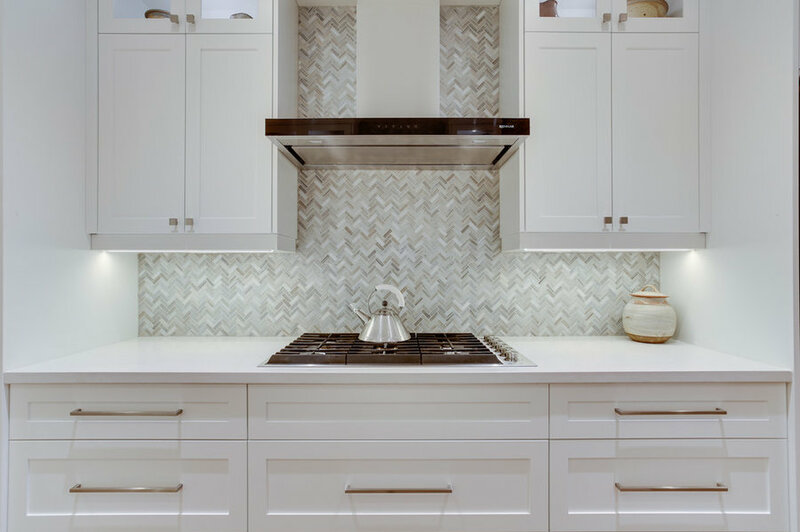 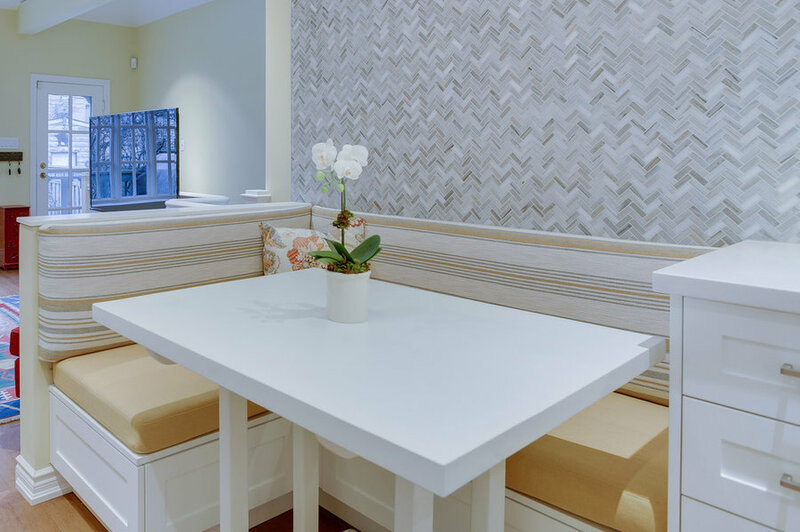 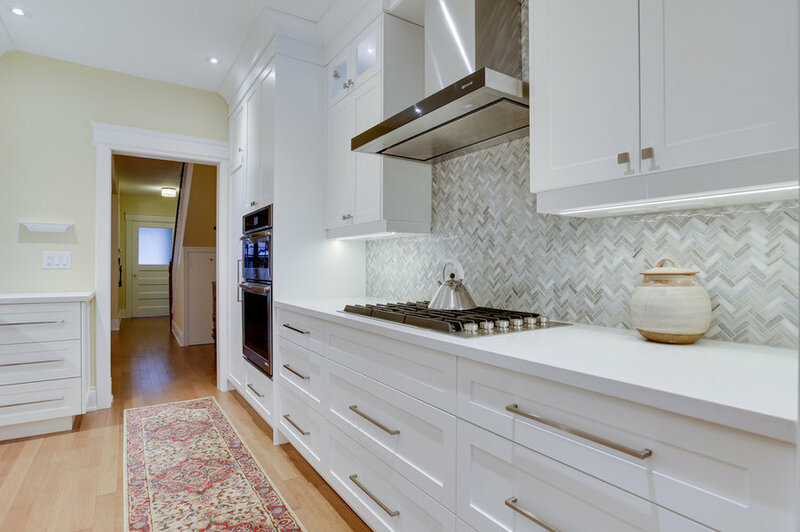 We also used Nadurra for the engineered hardwood flooring throughout the main floor, Albert Stortchak of Der Dietemann Antiques for the vintage school house pendant light fixture, and The Tile Store for all the beautiful marble backsplash tiles and front hall tiles. 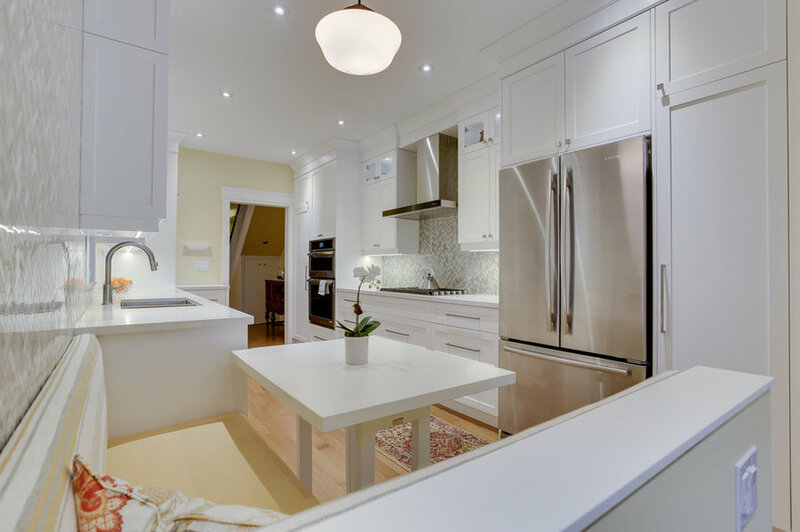 Jenn-Air and Miele appliances are from Caplans Appliances, Mike Wozniak refurbished the clients' old kitchen table to suit their new kitchen needs. 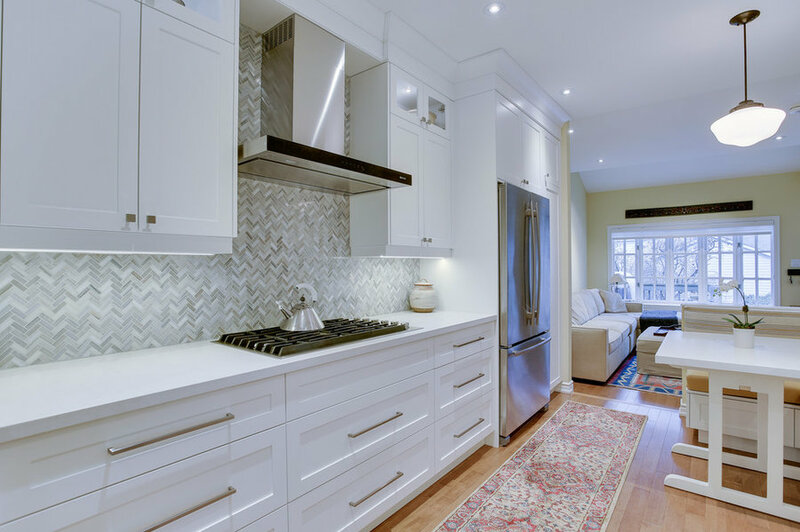 Cabinet lighting was from Lee Valley and cabinet hardware was from Upper Canada Specialty Hardware, Roman blind and banquette cushions through Creating Home.